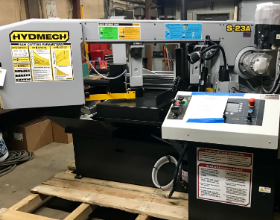 Description: Scotchman Industries powerful American-made CPO 350 Circular Cold Saw is the perfect machine for any fabrication shop. 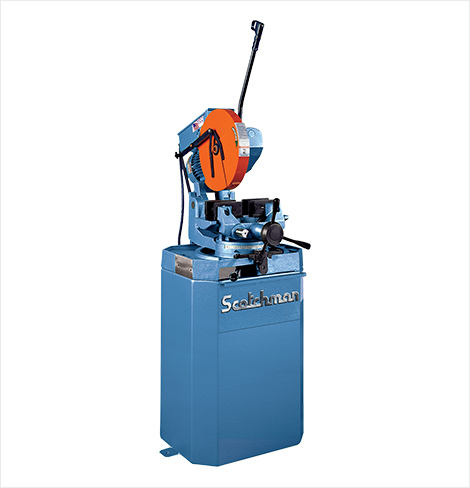 This dependable saw features a double clamping and self-centering vise for maximum hold and provides burr-free, high quality, volume parts. 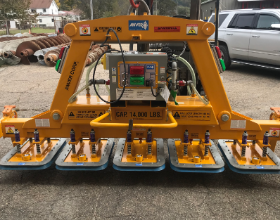 It has 180 degree mitering ability and a miter-locking device which automatically stops at 45 degrees left, 90 degrees straight, and 45 degrees right, giving it the ability to slot and notch. 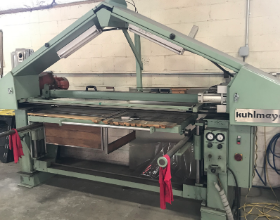 Additional machine features include a chip drawer, a double reduction gearbox, a two-speed motor which utilizes up to a 14" diameter blade giving it a 4-7/8" OD round capacity. 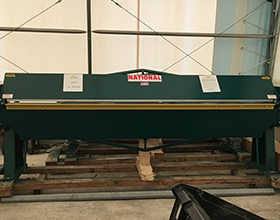 This machine is built with dependability and versatility in mind, with the quality you expect from a Scotchman. Always backed by their outstanding 3-Year Warranty!